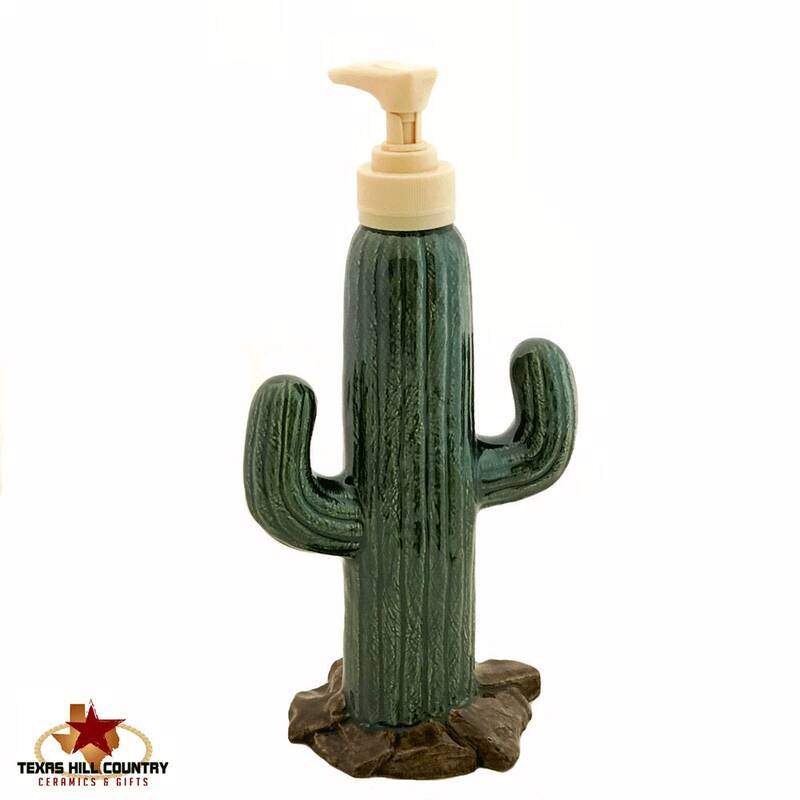 This tall Saguaro cactus soap dispenser is made to hold a generous amount of hand soap, liquid dish soap, hand sanitizer or a favorite lotion. 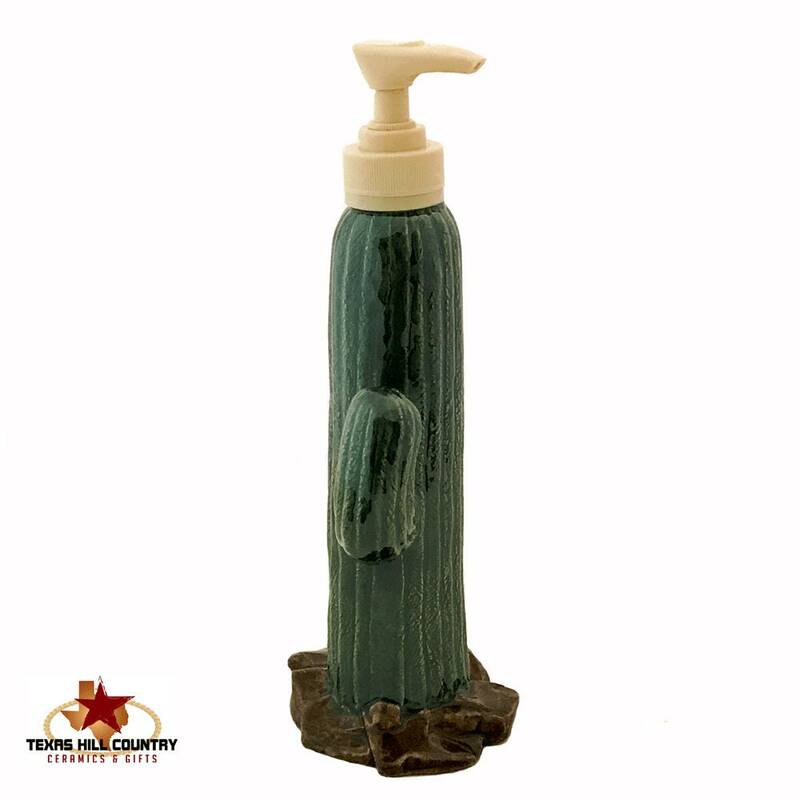 The saguaro cactus pump dispenser is also great way to add a little Arizona desert southwest to any room or area. 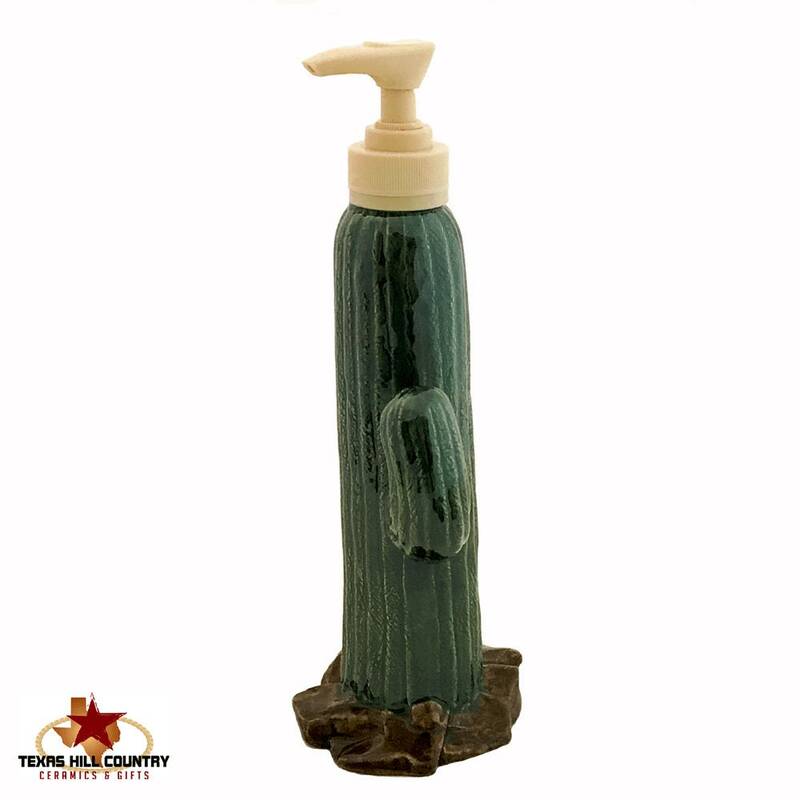 Dispensers are great for adding a decorative touch on a bathroom vanity, dresser or the kitchen counter close to the sink. The green cactus sets on a wide base, the cactus trunk rises from the base and has arms branching off on each side. The pump dispenser sits on the center top of the trunk. The outside is glazed in lead free art glaze that adds depth to the detail. The inside of the bottle is also glazed, this is an extra you often do not find with imported ceramics, this step seals the piece and extends its life keeping the dispenser looking pristine for years to come. Each dispenser is made of slip cast ceramics using a ceramic mold for uniformity and kiln fired. 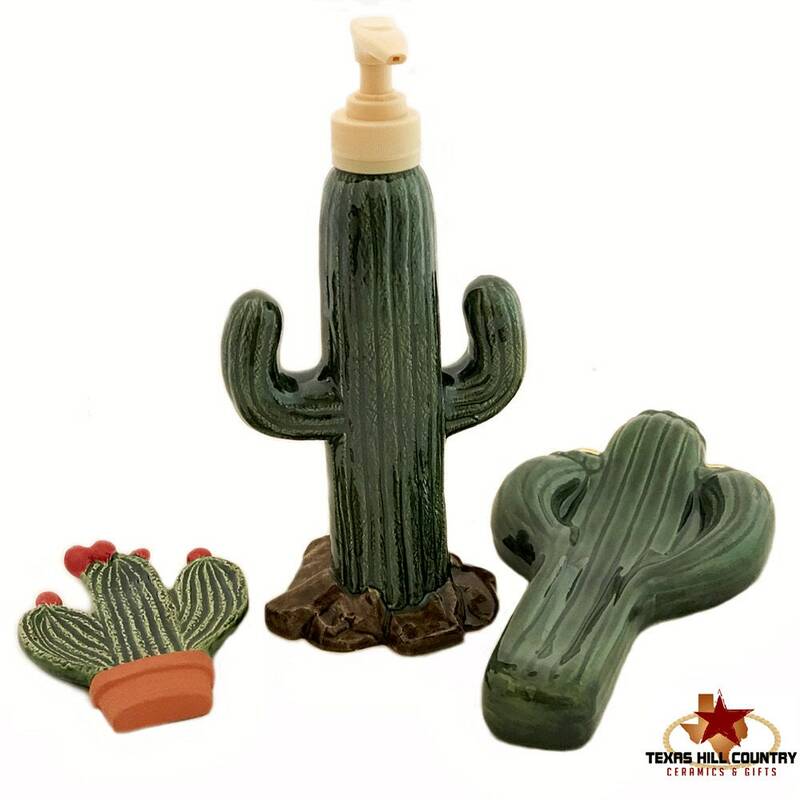 Each cactus is glazed by hand with a brush. Three coats of glaze are used to finish this piece, it is very durable. All glaze used on this dispenser is food safe and people friendly. Coordinating items available, as shown in the last photo, each can be purchased in my shop separately. 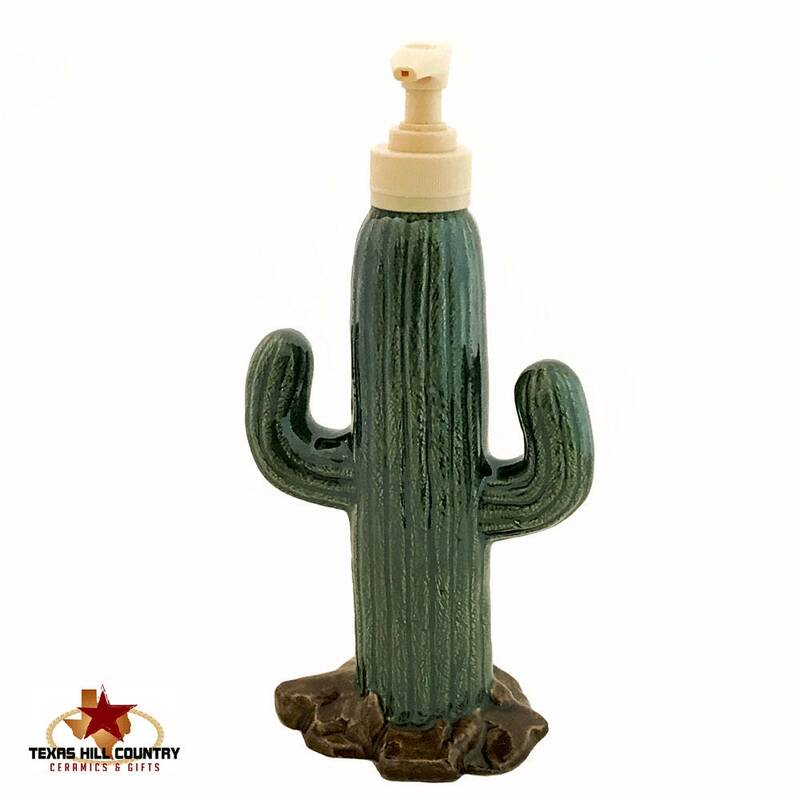 This listing is for 1 cactus soap dispenser.